I first saw the northern lights on my second trip to Iceland, nearly 10 years ago. They’re impressive enough in photographs, but witnessing them yourself for the first time is a truly life-defining moment. Watching the lights flicker and dance across the sky, swirling through a kaleidoscope of colour that illuminates the mountains and lava fields is an experience that stays with you for life. In centuries gone by all sorts of explanations were given for this bizarre phenomenon. From ghostly spirits to vast fires burning beyond the ends of the earth, it’s perhaps unsurprising that the northern (and southern) lights featured prominently in early religion, mythology and folklore. Although their mysteries have since been deciphered, the Aurora Borealis and their scientific origins are no less fascinating. We now know that the lights are caused by highly charged particles brought into the upper atmosphere on the solar winds, where they interact with the planet’s magnetic field between 90 to 150 km above the earth’s surface. Scientifically it’s roughly analogous to the process that takes place inside a neon light bulb, albeit on a much grander and more impressive scale. The lights are most visible closer to the earth’s poles due to the orientation and strength of the magnetic field, but also because of local climate conditions. The temperature itself is not a factor, but it’s on the darkest and coldest nights that the skies are most clear. Which makes Iceland, sitting just outside the Arctic Circle, perfectly placed for front row seats. 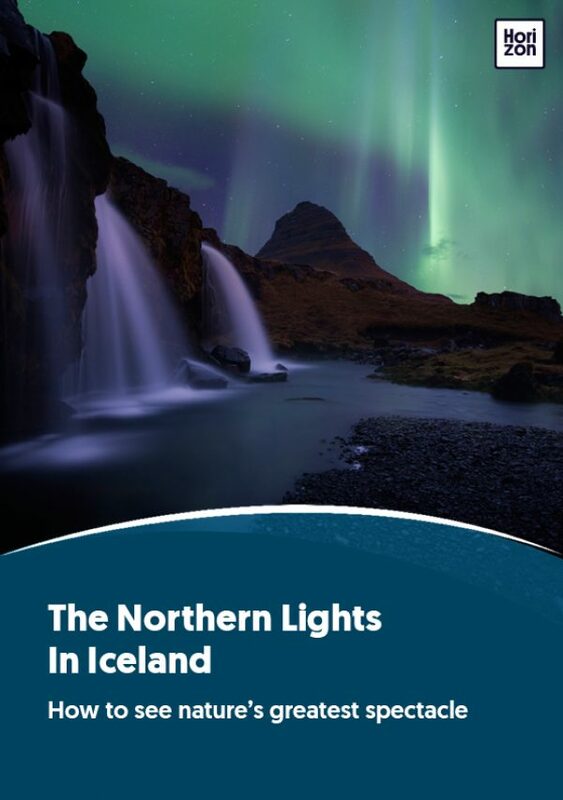 The best time to see the northern lights in Iceland is between September and April. There is no great secret to catching the lights; it’s largely down to luck and persistence, although good planning plays an important role too. Give yourself plenty of time, ideally with a few days spare so you get a second (or third) chance if needed. Use the Icelandic Met Office for reliable weather forecasts--they provide a useful Aurora forecast too. Even during winter, the lights don’t make an appearance every single night, so it’s important to manage expectations and enjoy your trip, with or without a light show. The other key factor is your location. A good tour operator will help you choose the best spot for your group, and will make the necessary travel arrangements--extra important in the winter when access in more rural locations is limited to specialist vehicles. Use this guide to help you plan your trip and choose the right place for you. With some planning and a little luck you’re set for a real treat.